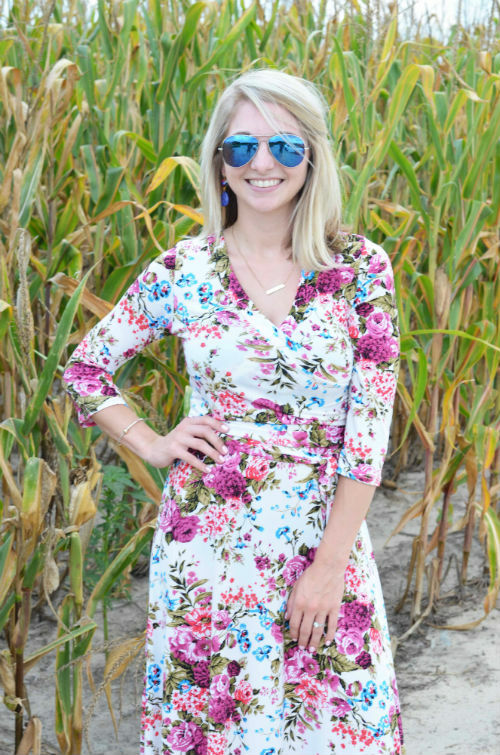 19 comments on "Floral Maxi and Salty Air"
Oh my gosh, oh my gosh! Your hair and this dress are AMAZING. Enjoy your vacation! Oh my goodness! Your hair! That dress! Look fabulous as always, lady. Enjoy your weekend! gorgeous!! you look great! B keeps our car coldddddd too! ugh! have fun!! beautiful!! I'm obsessed with maxis and this one is no exception! I hope you have a great vacation! You look beautiful! I love that maxi! Gorgeous!! 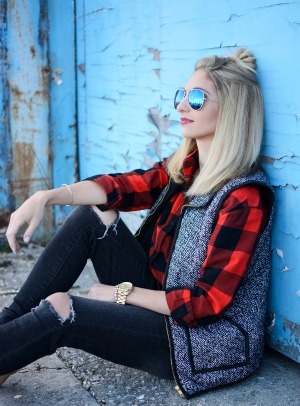 This maxi is perfect and I love how well your bag matches! 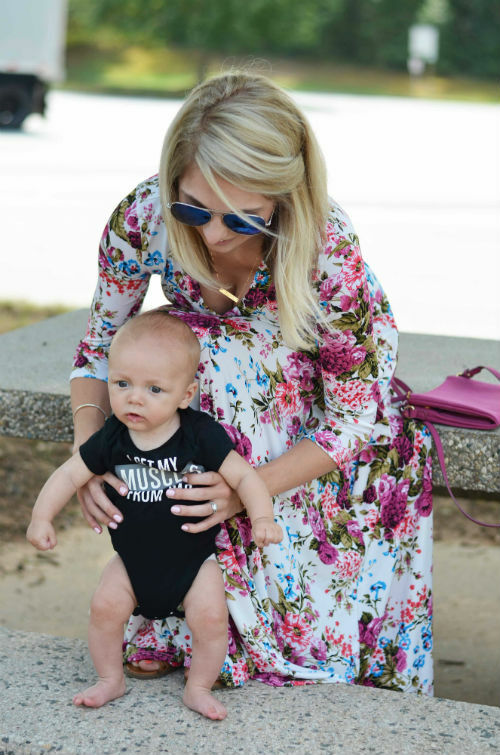 What a great traveling with a babe dress! My hubs keeps the car like Antarctica too so I usually wear a maxi on trips!! LOVE LOVE LOVE you new 'do! Your sweet little guy is precious and you don't look like you just had a baby! Your dress is beautiful and the one in your shopping cart is stunning. I hope you enjoy your baby's first time at the beach! Love the haircut! That is totally the perfect length for you. And that dress. Swoon. 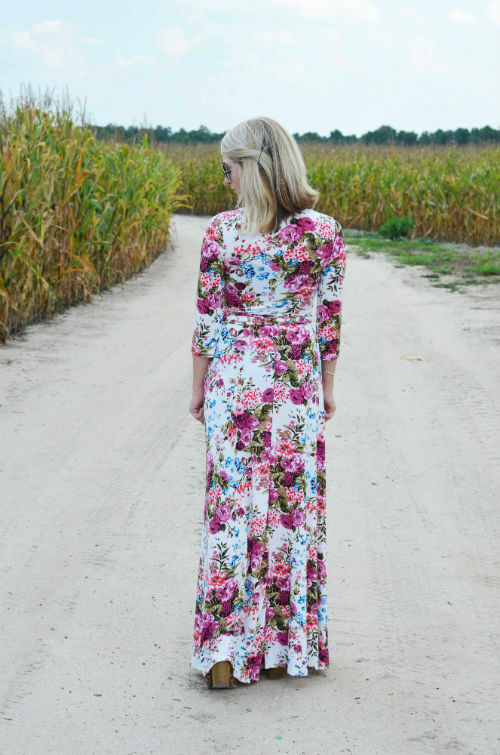 Who knew a floral maxi would be so beautiful? Love this dress! Gorgeous, mama!